Will China become the world's leading AI industry? Home Technology Will China become the world’s leading AI industry? Will China become the world’s leading AI industry? The amount of data across the Internet is influencing all frontiers of AI industry. The real essence of AI lies in computer software’s that run a huge amount of data, performing data analysis and pattern recognition on accurate information. This indicates that the more the data, massive more efficient will be AI program. The large quantity of data fundamentally governs the production of all sorts of AI programs. As per January 2017 China Internet Network Center report, up to December 2016, China had a total of 731 Million Internet users out of which 95.1% were using smartphones. The report further stated that 496 million Internet users have successfully used smartphones in making their digital payments. Whereas,168 million users were involved in using smartphones to hail the taxi service. This indicates that the growth rate of different categories of Internet users has exceeded 30% annually. This helps China’s tech companies as they get an opportunity to work on AI technology with an enormous amount of raw data, Congress held further assisting their AI programs and algorithms. Why and how is Chinese government forcing this industry segment? Thus, boosting national security and economy of China. What’s different to other countries? The role of AI in transforming human lives is undeniable. All big players in emerging markets are using A.I. for achieving their company goals. For instance, a well-renowned company Facebook is using AI to gather target advertising, curated news feed and photo tagging. However, Apple and Microsoft use this technology to boost their digital advancement, Siri, and Cortana. Google does not lack behind as it’s been used A.I. to create powerful search engines. All these companies want to leverage A.I technology to chase self-teaching and flexible A.I. that will eventually become a mirror of human learning. Google is more confident in stating that they live in an”AI-first age.” Image and speech recognition with the help of machine learning are good examples of this innovative A.I. Technology. There is more work to be carried out apart from these digital assistants to ease human lives on a day to day basis. The biggest problem that needs the solution is to train the machine learning systems with the minimum amount of data so that they can give real time solutions in any industry. If this is achieved, then Healthcare will become the most promising industry with the advancement of A.I. in treating the critical health of the patient. In a scenario where patients digitized data is less, the deep learning software’s should be able to locate the tumor within an X-Ray. It will be quite unethical to make patient sick of gaining the data and implementing A.I. for patient’s treatment. This is the reason that the deal is being signed between Google and the National Health Service in the UK. Google’s Deep Mind will use machine learning for treating patients suffering from Cancers. Deep learning is referred as the subset of overall machine learning that uses computer programs and algorithm in determining the data analysis and pattern recognition. It powers all digital assistants such as Google now, Cortana and Siri. 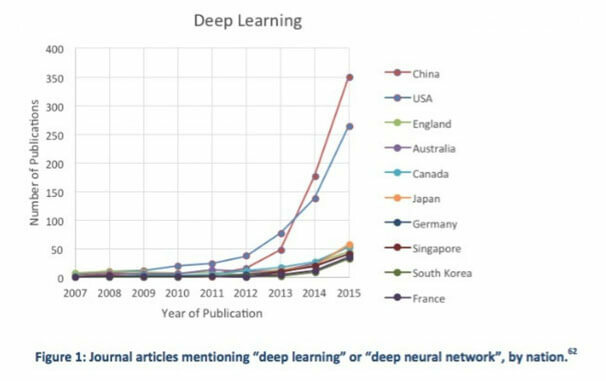 The above chart that is being published by the Obama administration, clearly explains the efforts U.S has made in learning and implementing deep learning research by publishing A.I. papers.But it also shows that China has surpassed in this effort as they have issued more amount of articles annually on this particular subject.This indicates that China is on its verge to become the world leader in A.I. technology. Artificial intelligence (AI) is a type of information based on machines. AI is said to be successful when devices can mimic the cognitive capabilities associated with the human mind like problem-solving and learning. At the moment, the successful recognition of the human speech, high-level strategic gaming systems, self-driving cars, interpreting complex data and military simulations are among the most classified capabilities of AI. Deepmind can process thousands of medical data within seconds. The project is in conjunction with the Moorfields Eye Hospital NHS Foundation Trust in a quest to improve eye care. 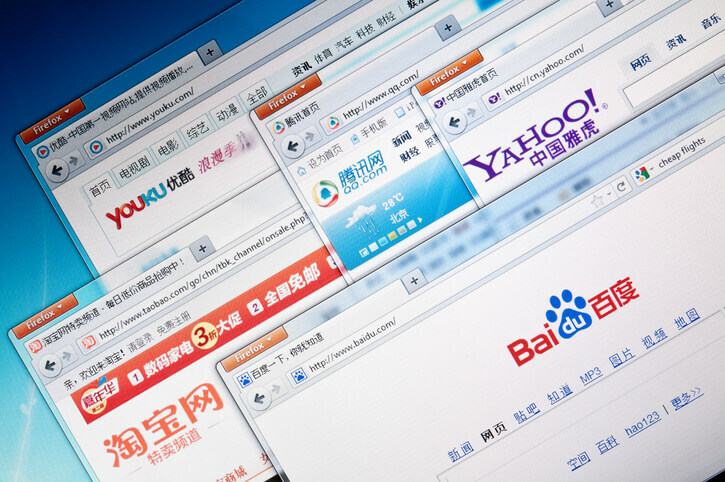 This is a Chinese search engine firm which in 2016 launched an AI-powered chatbot that enables patients to connect with doctors through field medical questions. The chatbot processes medical data faster compared to humans; hence it guarantees the correct diagnosis. IBM’s Watson path project in collaboration with the Cleveland Clinic Lerner College of Medicine developed two cognitive computing techniques that are used together with an AI algorithm, Watson, to enable doctors to make informed medical decisions faster and get new insights from the EMR. This Chinese start-up is intending to digitalize the human life information containing personal biological details such body fluids sample and DNA to help tailor wellness tips and programs. This is a San-Francisco based with a focus on using advanced AI-powered robotics and machines to improve the viewing of microscopic tissue structures. China seems to have all five building blocks of AI development that include sufficient data, an auto data tagging system, top researchers and data scientists and efficient computer programs and algorithms. With the advancement of AI technology in emerging markets, China is one step ahead in acquiring the AI market across the world.